Hey, folks. I want to make sure y’all remember that we’re headed to AWESOMECON this weekend! We’ll be in Pride Alley (The “B” doesn’t stand for bacon! ), and we couldn’t be more delighted for the honor. 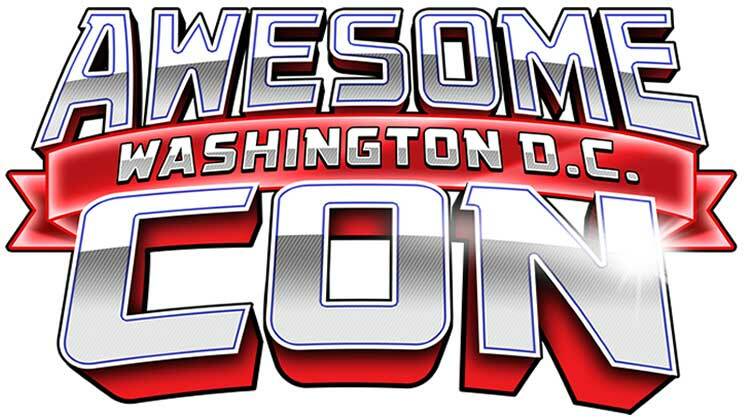 And AwesomeCon itself is literally one of the best shows we’ve ever done. Do yourself a favor and come out for it! Either are better than my hearing “We Are The World”, interpreted by the Chipmunks. More likely, an extremely tame version of Marilyn Manson’s The Beautiful People. I think the most important thing to get from this update is that Frigg has the best heraldry. Absolutely. Mr. Waltrip, any chance we can convince you to give us a clearer image of it? Or like, a T-shirt of it? Oooh, let’s get fancy with it. The sleeves of the T-shirt could be grey, with a chainmail print, so it looks like a tabard over armor! Stuck in traffic? S**t pelagic? Spartan tragic? Tardy rod-d*ck? Nah, nothing really works. But what if it’s a BATTLE MUSICAL? Ah, they all look so happy, so content, so joyous and celebratory! Just the right look for people marching off to bloody warfare. Yeah, I find their enthusiasm a bit strange too (referring mostly to the protagonists). The vast majority of Gastonians have no idea what’s going on and will see this as invasion with the intent or subjugate or eradicate. It’s a bloody clusterfuk in the making. Humans will be horrified and panicked and I wonder how many among the savage races have expectations that align with those of Byron and Syr for example and how many see this simply as ye old conquest. If thats true then sounds like a perfect time to celebrate happyness and togetherness since they wont be doing that any time soon. See what i’m sayin? I expect before the battle even starts, H. R. comes to eat everyone. The Sisterhood of the Flipping Bird takes arms, leaving enemies stumped. Oooh, I just noticed that. I hope they make T-shirts. Blunt … no foothold … Bob Peters here? Bob Peters? Sorry, we only cut hair. Seriously–she’s just established that she, at least, knows what Frigg’s all about. Your leader sticks her foot in her mouth? You offer mustard, with a smirk. 1: “tear it all down and build something new” is a lovely optimistic sentiment that usually means a Whole Lotta People Gonna Suffer First. This is looking to get brutal. 2: Those Fuzzy People Lancers are doing wubbly things to physics, just what are those lances made of anyway? 3: An avian REALLY needs to joins Friggs Sisterhood of the Flipping Bird because redundancy in linguistic awfulness is always a lofty goal. Totally agree with your #3. It’s catchy, but I don’t think it will top Rains of Castamere on the charts. The Order of the Countless Limbs might prove a challenge for the Order of the Countless Middle Fingers. 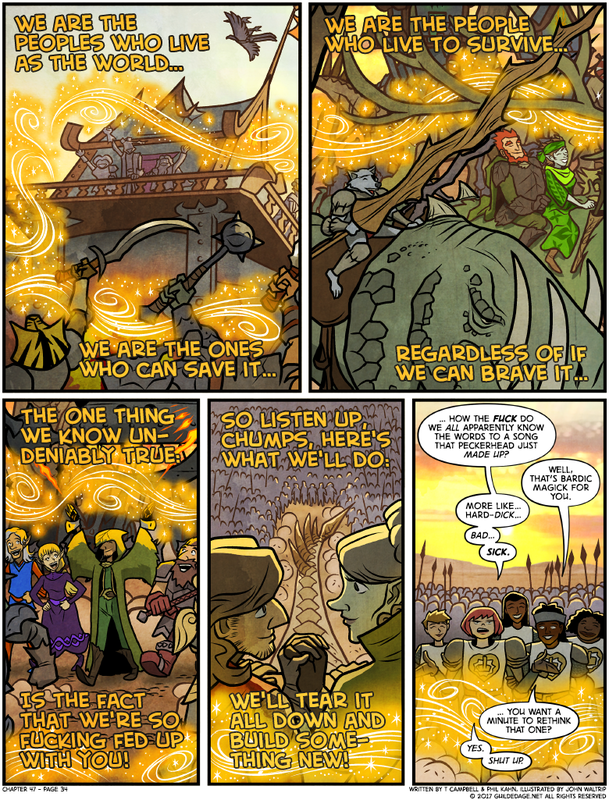 I suppose it’d be problematic to point out that the new Champions Coalition includes industrial slavers (goblins/orcs) and the beneficiaries of an actual genocide (fuzzy peoples). And that attacking Gastonia is going to inevitably involve killing their faceless minions/ impoverished conscripts. As a narrative, I have no problems with this. It’s realistic to a fault. I would absolutely buy a tee shirt with Frigg’s heraldry on it. Please consider making this a thing.